THE BEADY EYE ASK’S: IS ENGLAND NOW ENTERTAINING DOOMSDAY, WHEN MEN FACE THE RECORD FROM WHICH THERE IS NO APPEAL. Posted by bobdillon33@gmail.com in Articular 50., Brexit v EU - Negotiations., Brexit. Brexit v EU - Negotiations., Brexit. Watching Britain trying to find a way out of its current constitutional crisis this week devolution to England is firmly back on the political agenda. History tells us that political leaders are often taken over by events. The politics of English administration is becoming sharply polarised between the traditionalist instincts of the Conservative Party and the devolutionary demands of the Labour heartlands not mention Scotland and Northern Ireland or Wales all three facing funding implications. The social and political turmoil of the 1980s saw the invention of a new and unofficial English boundary – the North-South divide which is now manifesting itself in Brexit. What is revealed in all of this is an important facet of the English personality. After 2,000 years of administrators trying to bully the population into neatly defined blocks, England has developed a natural distrust of straight lines on a map. They prefer the quirkiness of a complicated back-story, they like things to be irregular and idiosyncratic, revel in the fact that Americans cannot pronounce, never mind spell, Worcestershire. In 1970 the Tories introduced the Local Government Bill. It was debated for months with MPs arguing over boundaries, place names, geography and history. The result was an act of parliament that, in attempting to satisfy everyone, infuriated millions. WITHOUT PROPORTIONAL REPRESENTATION NITHER A PEOPLES VOTE NOR A GENERAL ELECTION WILL PRODUCE A SOLUTION THAT WILL BE UNIFYING. The big question is what would be on the ballot paper: it could be a three-way referendum, with voters choosing between May’s deal, a harder Brexit/no deal, or Remain. Northern England is increasingly resentful at the London-based government. Scotland is on the verge of another referendum for independence. Northern Ireland Assembly is disassembling. WHILE IRELAND THE CLOSEST NEIGHBOUR IS STARING DOWN OF BARREL OF ECONOMIC DISASTER THROUGH NO FAULT OF ITS OWN if Theresa May goes for a no deal to save her own premiership. All of the above could be avoided, of course, if England stayed in the EU. Instead, we are in a stalemate. The EU is unlikely to want to reopen talks until the vote has actually taken place on the withdrawal agreement which has a legal Backstop re the Irish border. If there is no backstop, there will be no divorce deal and no transition period. In other words, there would be a disorderly Brexit and the UK would crash out of the EU in March 2019. Brexit IS NOW a topic so complex and confused that I sensed every twinge of political pain in the reforms. Perhaps, with the forthcoming European Elections with England still in the EU, a European vote on whether England should stay or leave might resolve the question that England can not. 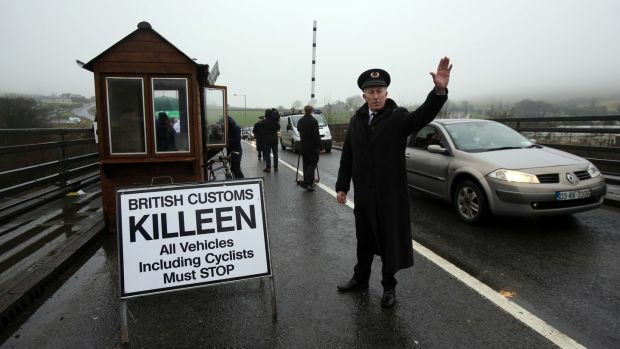 The EU won’t show its true face until everyone is locked in but I suspect that when that happens it will not sound unreasonable to say “If England stays in the EU what was WW2 fought for.” or “If Ireland stays in the EU what was the Irish War of Independence for” because the EU will one day likely have a bigger stranglehold over its people than the British Empire or even Hitler did over theirs. The EU may look so cuddly but at its heart is the plan for a corporation dominated all powerful state with absolutely no value placed on freedom or the individual. You are right about Northern England. Most northern English people asked the other year said they would be happy to join an independent Scotland, although this couldn’t happen in practice as the population of Northern England dwarfs that of Scotland.